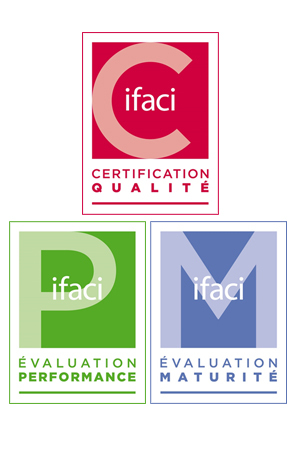 Launched on 15 January 2016, the Maturity Assessment and the Performance Assessment complete the already enshrined Quality Certification offer. One of the world’s top ten leaders in aerospace equipment and systems, Zodiac Aerospace, was confronted in 2015 with a significant drop in its operating profits, after revision of its internal control framework. The Maturity Assessment model notably allowed for a greater understanding of the expectations of the stakeholders and facilitated interaction with the latter. Poste Immo manages the entirety of the real estate assets of La Poste group. Implementation of the Maturity and Performance Assessments has enabled it to go above and beyond what is mandatory, bolstering the internal Audit Activity and improving current practices.